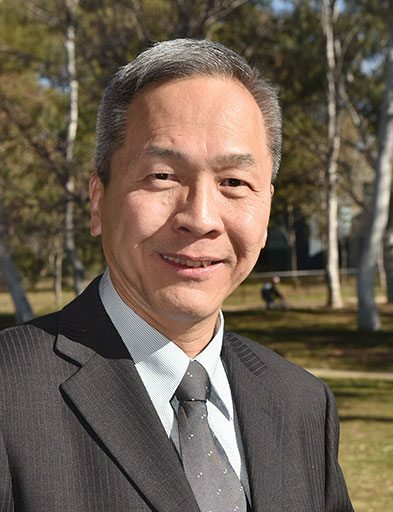 Professor San Thang is a research innovator in polymer and materials science, with a focus on the interface between organic and polymer chemistry. He is a leading expert in the field of radical chemistry and polymer chemistry and has developed several key innovations in the area of controlled radical polymerisation. San is a co-inventor of the reversible addition-fragmentation chain transfer – the RAFT process, which is used to make better polymers with a tailored chemical structure and defined properties. RAFT has generated enormous academic and industrial interest worldwide, with a huge range of applications including performance coatings, adhesives, hydraulic fluids and membranes, cosmetics, biosensors and drug delivery.